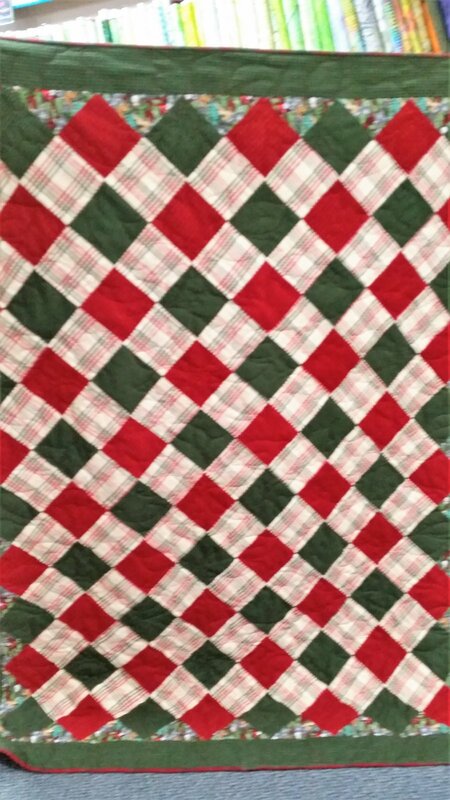 This quilt makes great use of our specialty flannel fabrics and the puffy battings we carry. You only need 3-5 fabrics to create this beautiful quilt. Learn "on point piecing" with this simple pattern that adds so much interest to the look of the quilt. This pattern makes a great guy quilt because of the fabrics and simple design. A complete supply list is available at the shop with class registration. A 20% discount is given on fabrics, tools and notions needed for the class.